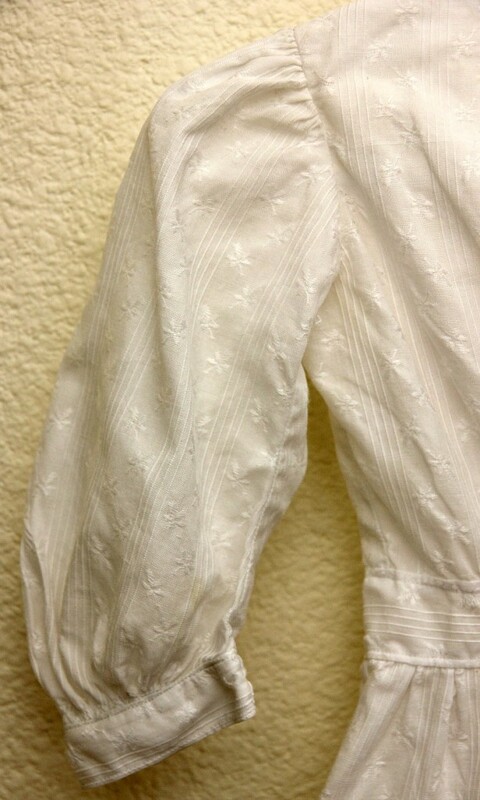 I have a small collection of antique clothing and I thought I’d share a piece I recently restored with you. 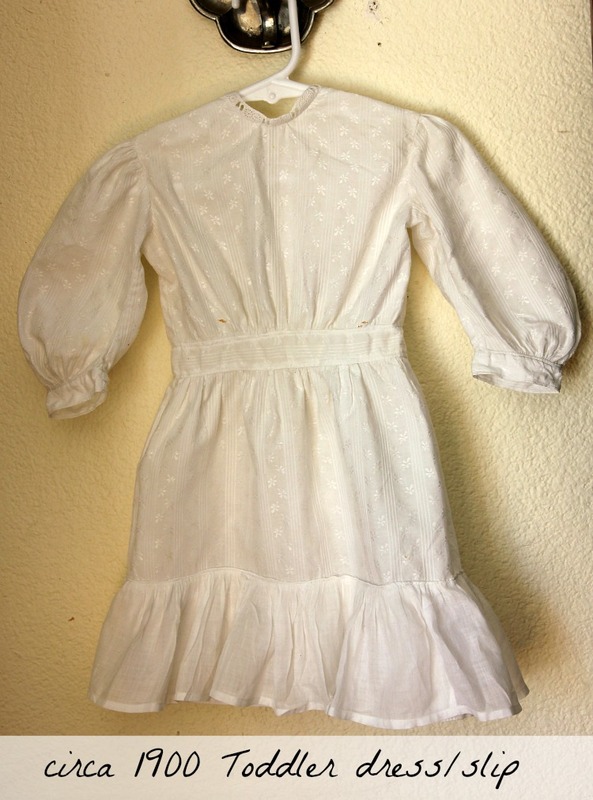 A circa 1900 toddler dress or slip. 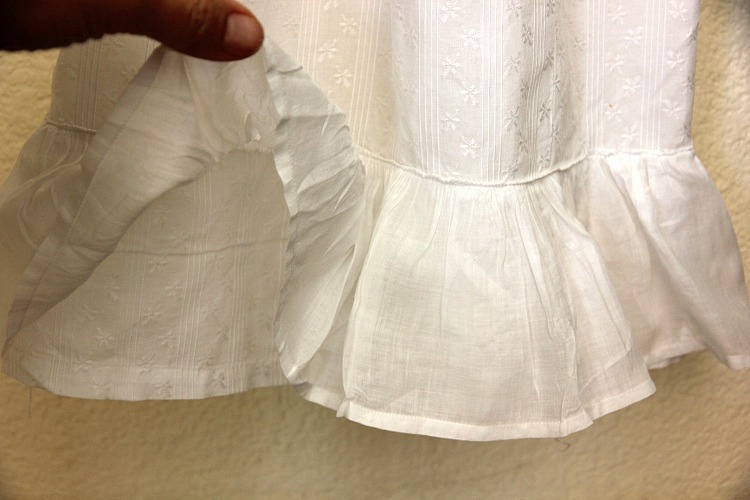 It’s made of an embroidered striped cotton lawn and has a cotton organdy ruffle. It was badly rust stained when I found it.I soaked it in Oxi Clean for three hours. Most of the stains came out, but four small ones are still left. 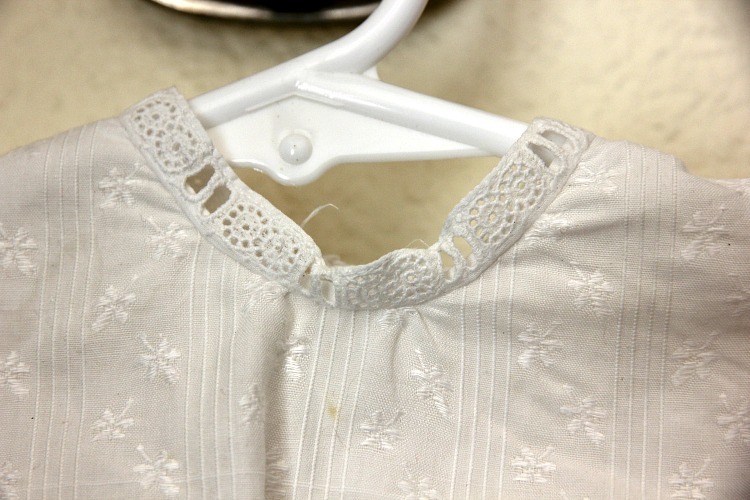 I love to look inside old clothing and I thought you might, too. The sleeves are just so beautiful. 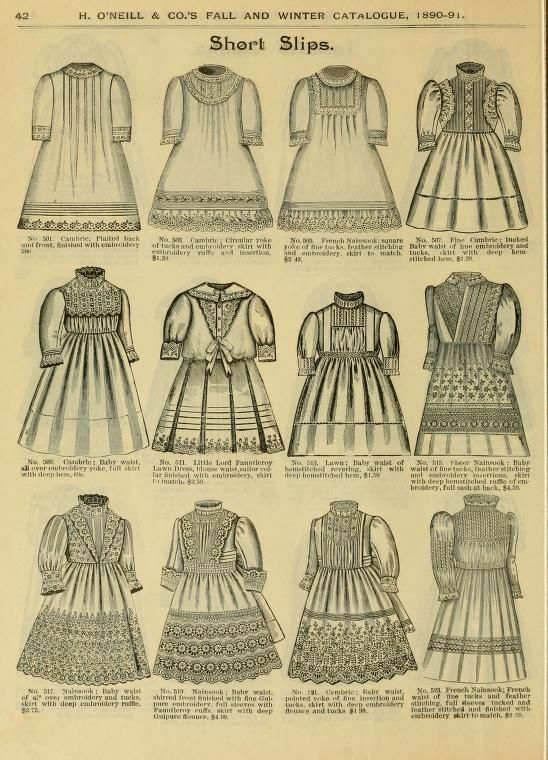 The set in waistband at waist level dates this dress to about 1890 or 1900. 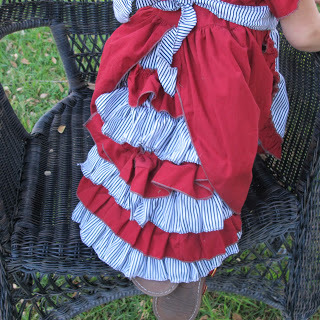 At this time child’s waistbands were at the waist. 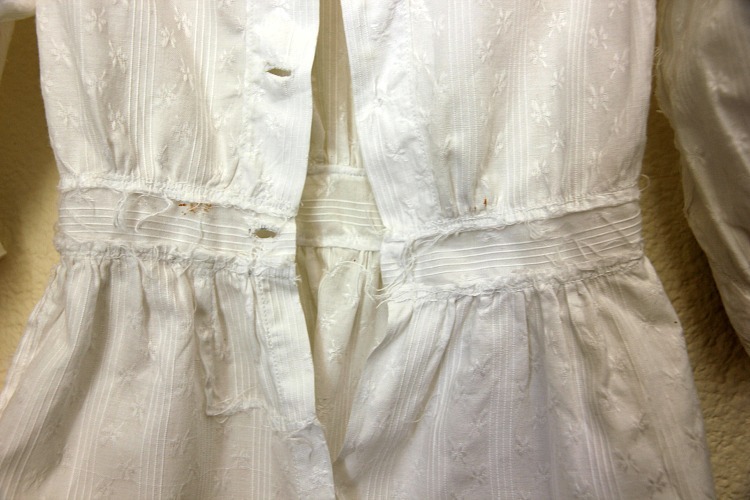 Later, in about 1905, the waistband would be dropped. 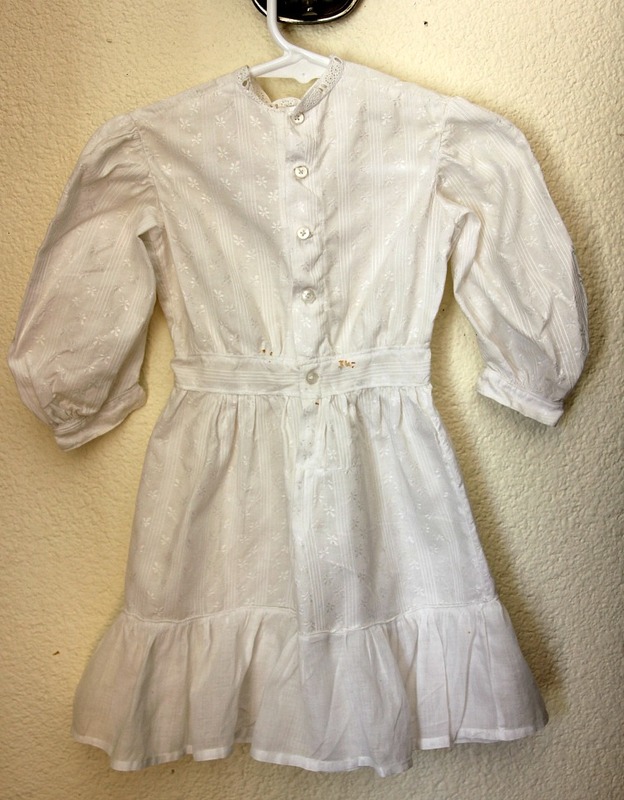 This dress has a 16 inch waist, so it was for a very slim child of about 18 months. 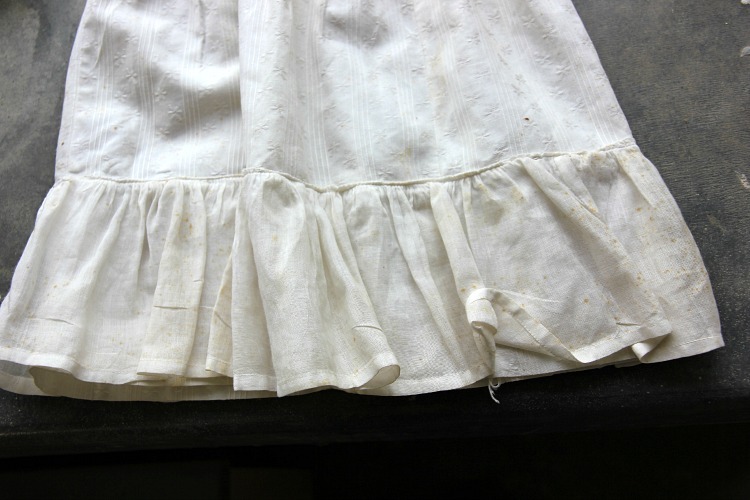 It was sewn with a sewing machine and the seams are left unfinished. 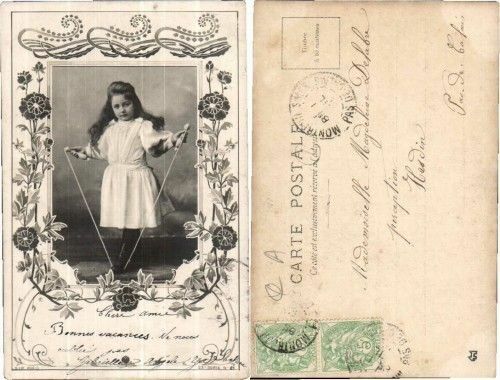 The buttonholes were most likely sewn by hand. They have tiny and perfect stitches. 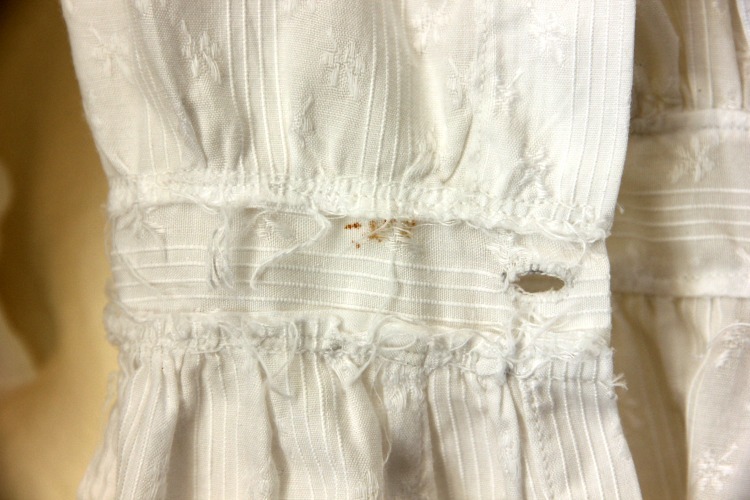 One thing to note about this dress is how small the stitches are. 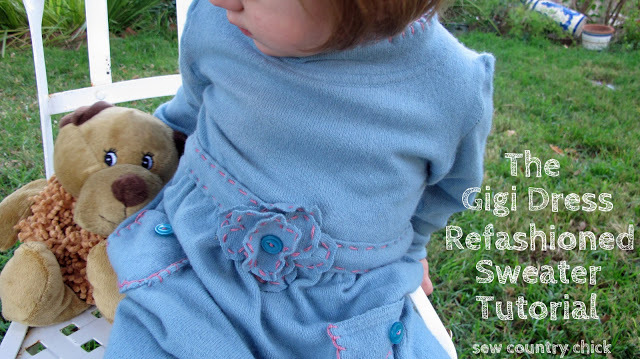 Here you can see the small machine stitches. This was the dress before I soaked it. It was very dull and stained and for that reason, I found it for only five dollars at a local thrift shop. 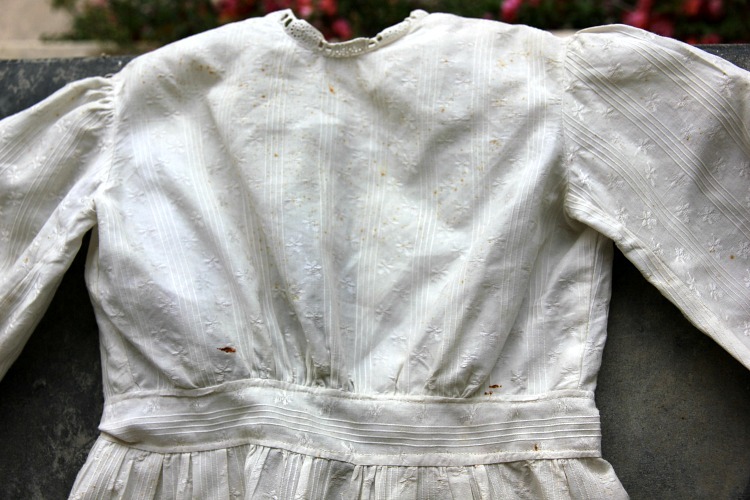 They thought it was an old doll dress, but it’s too big for one. 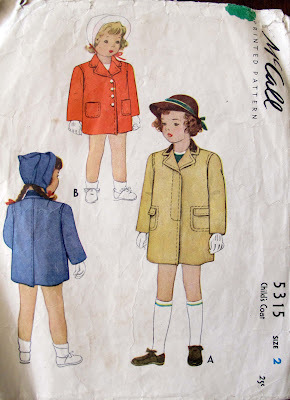 I love to imagine what child may have worn this. Oh what a precious find! That stitching IS tiny! 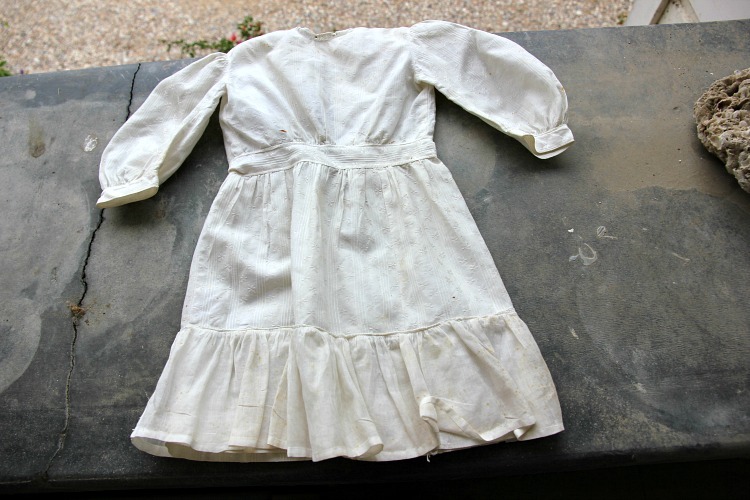 If only this little garment could tell stories!